The Mysterious Island: Illustrated by Jules Verne. - In Three Parts: I. Dropped from the Clouds, II. Abandoned, III. The Secret of the Island. Fully Illustrated with 154 Illustrations from the Original edition by Jules-Descartes F rat, engraving Charles Barbant, Published by J. Hetzel, in Paris, 1875. The novel is a crossover sequel to Verne's famous Twenty Thousand Leagues Under the Sea and In Search of the Castaways, though thematically it is vastly different from those books. 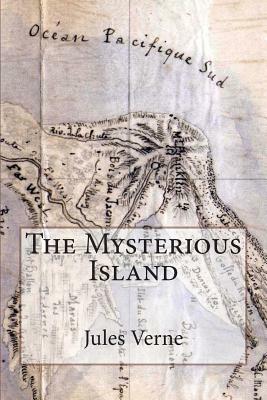 The Mysterious Island" has by common consent been pronounced the most successful and the most absorbing of Jules Verne's works. In recognition of its wide popularity, the publishers herewith offer to the youth of the World in a single volume the complete work which originally appeared in three volumes. The work has been pronounced "A new Robinson Crusoe with all the modern improvements." You will find amusement and instruction. One of three books that inspired Journey 2: The Mysterious Island.